What Type of Breast Pain Is It? How Is Sharp Pain in Breast Evaluated? A sharp pain in breast can be quite alarming and you may worry a lot if your breast tissue develops a tingling, burning, shooting or stabbing pain. Generally, only one breast would be affected by the sharp pain and the pain does not coincide with your menstrual cycle. And the thing is that heart attack is usually suspected for the pain as it is so close to the heart. Cyclical breast pain usually presents itself as a sharp pain followed by other symptoms like tenderness, swelling, cysts or lumpiness in breasts right before a menstrual cycle and stops after the period is over. Generally, changes of the levels of the two hormones—progesterone and estrogen are accountable for the pain. Therefore, there is no need to worry too much about the pain caused by hormonal fluctuations as it would normally go away when the menopause comes. Injury: There are blood vessels, nerves and connective tissues in breasts, plus lobes and ducts for making breast milk. Once the breast is injured, sharp pain and bruise may develop and only stop when it recovers completely. And since breasts have no protection from major muscles or bones, it is very likely that they may be injured somehow. Ductal Ectasia or Mastitis: Another cause for the pain might be ductal ectasia or mastitis which would occur because of the formation of an abscess or clogged and infected milk ducts. Larger Breasts: Sharp pain in breast may also be brought about by large breasts, but this would only account for the non-c cyclical pain which may also spread to your shoulders, neck and back. Surgery: If you’ve had any kind of surgery on your breasts such as reduction, augmentation, reconstruction or mastectomy, the affected tissues will hurt after the surgery and as the scar tissue forms. Fibroadenomas and Cysts: Fibroadenomas and cysts could grow inside your breast and produce pressure to the tissues nearby, thereby causing regional sharp pain in breast. Other Causes: Other factors like stress would also be the cause, because when you are highly stressed, the muscle groups near the breasts would grow tense, causing pain in breast. Rarely, breast cancer will cause sharp breast pain, but it is possible in a few instances. If you want to get a clear evaluation of the sharp pain in your breast, do yourself a favor by keeping a record of your menstrual periods and breast pain cycle, which can help to decide if the pain is in relation to your normal cycle. Speak with your doctor and have a breast exam. Then the doctor can review your health history and a list of medications. Besides, a breast ultrasound or mammogram may be necessary if any additional information is needed about the pain. The results might indicate that you have cysts, a breast infection or fibroadenomas, but don't worry as treatments are available to cope with the issue. When sharp pain in breast occurs, it is easy to associate it with breast cancer, but the thing is that breast cancer usually doesn’t have shooting pain in breast. However, do have it checked out and treated if a painful lump develops. In terms of pain relief, medications are usually needed when severe and disabling pain develops. 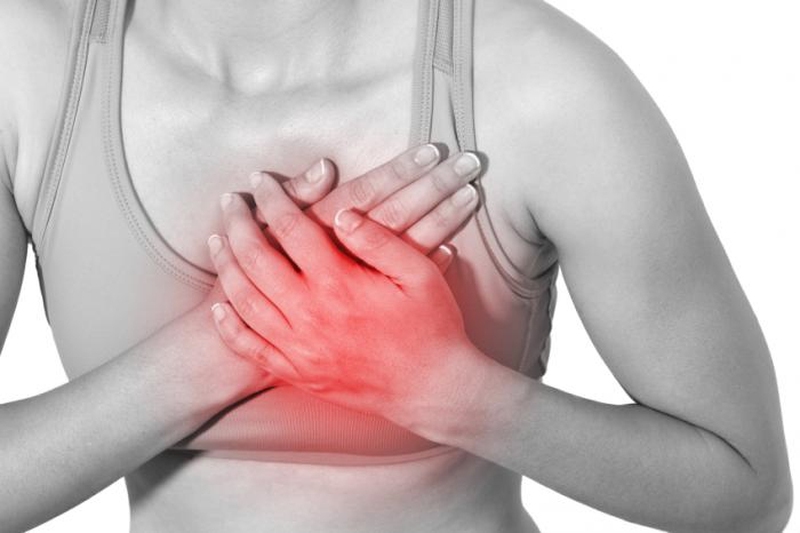 Anti-inflammatory or acetylsalicylic acid medications could be prescribed for costochondritis. However, please mind that the medications can have unwanted side effects. It is a good idea to add various lifestyle changes which can help lower or take away the sharp pain in breast. As excess movement of the breasts can add to the pain, it is better to wear a bra that is supportive to reduce the movements. Changes in hormones can also contribute to breast pain. To change that, try to relax yourself as much as possible which can help to lower hormones that are stress-related, thus improving the pain. To achieve that, visualization and meditation can be of help as a lot of women have found it beneficial for quieting the mind. Consume vitamin supplements like vitamin E, vitamin B6, and evening primrose oil. However, do consult your doctor or your nutritionist considering what doses you should be taking. Many times, women who experience sharp pain in breast worry that it is breast cancer. While the truth is that, instead of pain, breast cancer would first present itself with a painless lump. However, though breast pain isn’t likely to be caused by cancer, never hesitate to see your doctor if you have any worries about breast pain or additional breast symptoms.